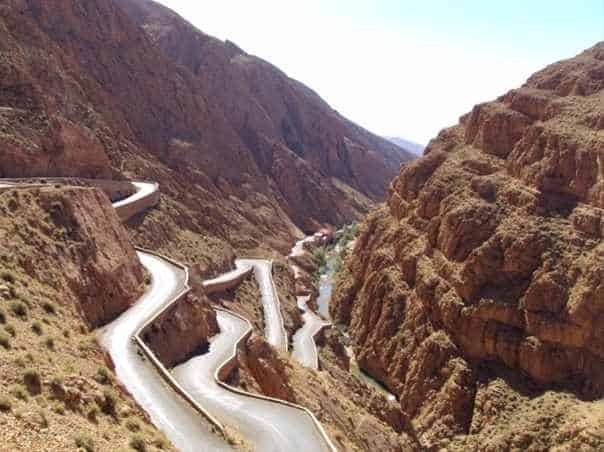 This trip takes you right across the chain of the High Atlas Mountains and over the famous Tizi-n-Tichka pass, the highest in the whole of Africa. All along the route you can see the Berber villages perched on the side of the mountains, sometimes hardly distinguishable from the mountains themselves. At times you come down into the valleys to drive alongside the river bordered by oleander and fruit trees. The gardens are full of olives, walnuts, pomegranates, apples, pears and quinces. Berber women and children tend goats and sheep and climb even the steepest slopes in search of fodder and firewood. 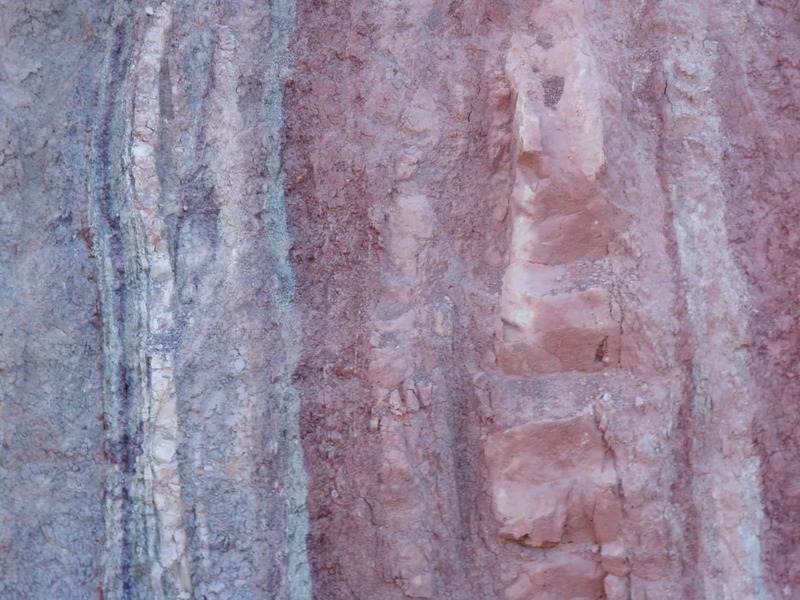 As you reach the far side of the mountains, the landscape changes dramatically, becoming semi-arid and desert-like. Here is the Kasbah architecture with turrets on all the buildings, adorned with grilled windows and soft peach coloured walls. These traditional houses are made of adobe, highly suitable for the climatic conditions of the south. 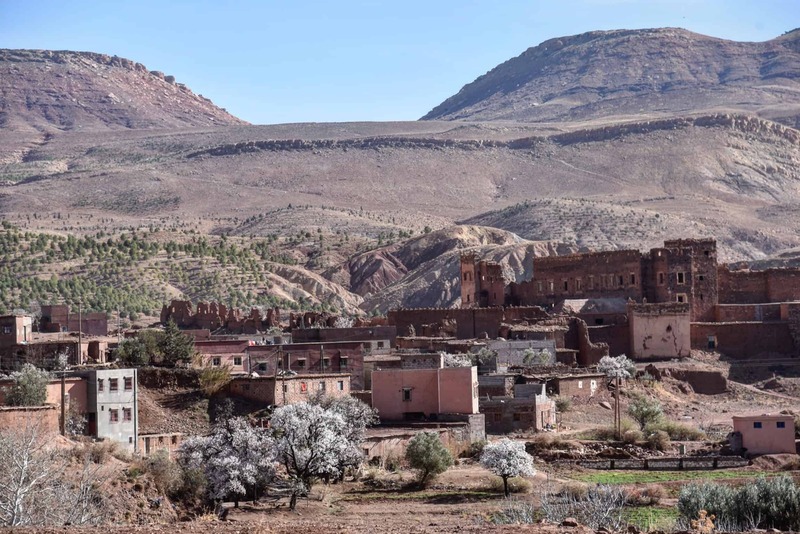 After the Tichka pass, you leave the main road and take a side road to the Telouet Kasbah, which belonged to the Lords of the Atlas, the Glaoui family, which stands in ruins after the last Pasha fled the country after the departure of the French. the farthest part surprises the visitor with its traditional interior decoration. From there you continue for lunch at Aït Ben Haddou along the newly asphalted road. 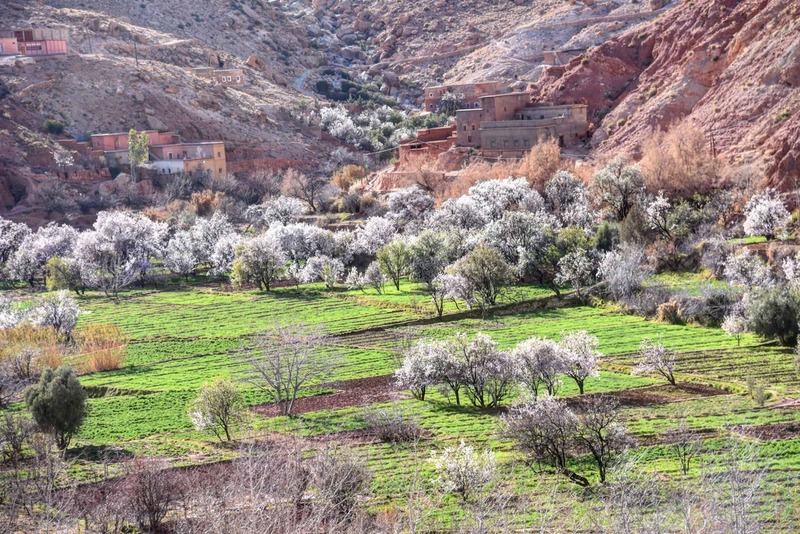 The afternoon is spent exploring the UNESCO World Heritage Site of Ait Benhaddou, which has been used as a backdrop for many Hollywood blockbusters. 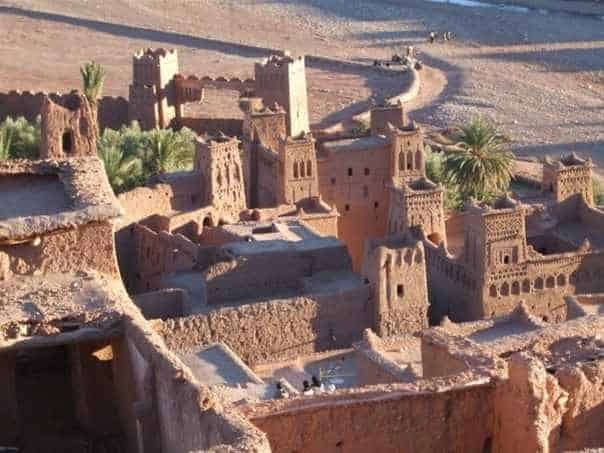 It was one of the most important fortress strongholds on the old Salt Road caravan routes, where traders brought slaves, gold, ivory and salt from sub-Saharan Africa to Marrakech and beyond. If you wish you can have a camel ride here. 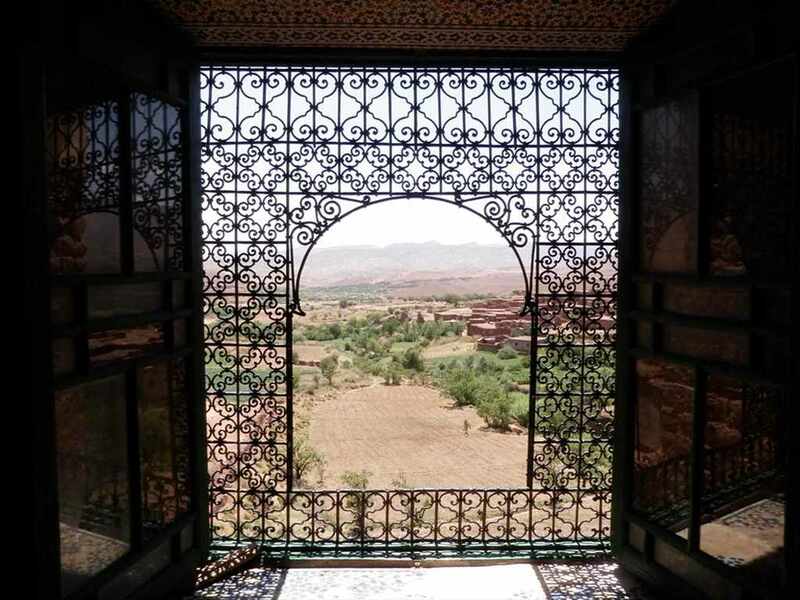 From there you continue to Ouarzazate and on past the El Mansour Eddhabi dam as far as Skoura at the beginning of the Valleys of a Thousand Kasbahs. 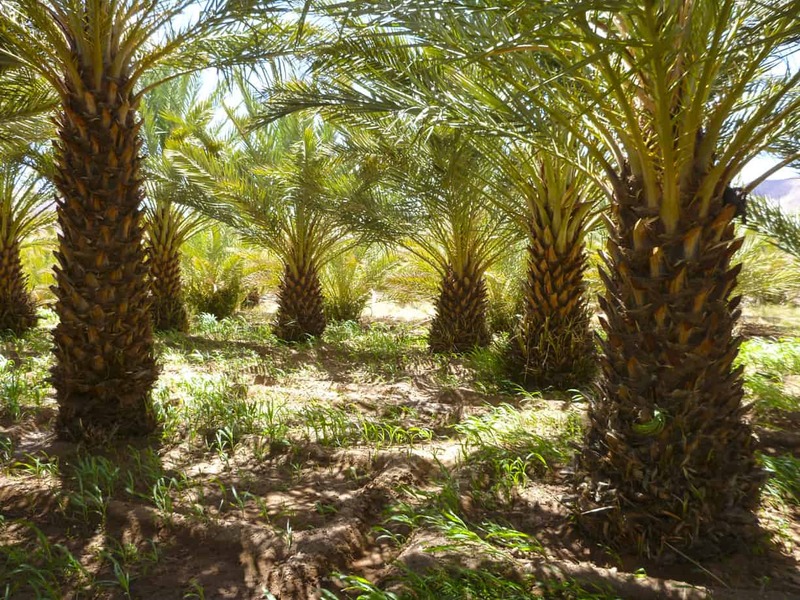 Here you spend the night on the edge of the oasis in a beautiful new but traditionally built Kasbah. In spring and summer there is the sound of birds and frogs s the only sounds to break the silence while the view of the mountains on one side and the oasis on the other pure calm for the soul. 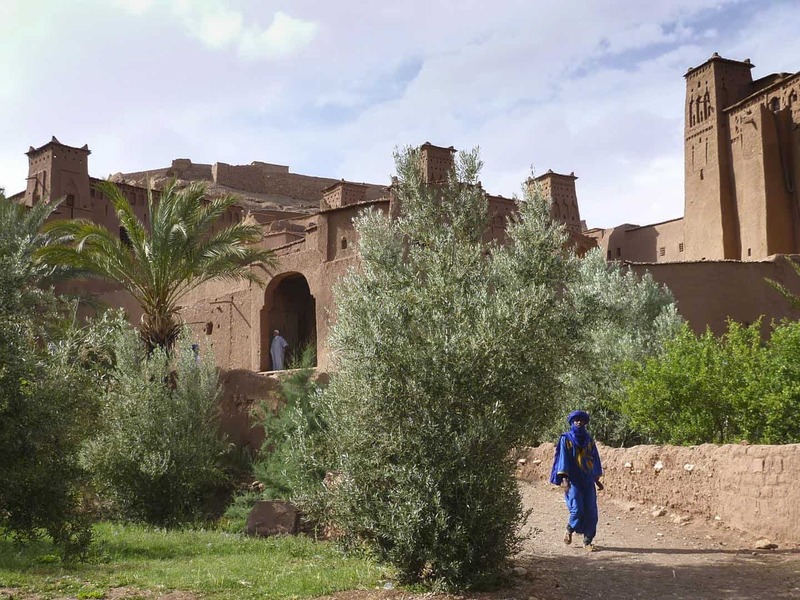 After breakfast, you return to Ouarzazate to visit the Kasbah there, Kasbah Taourirt, which is currently being restored. 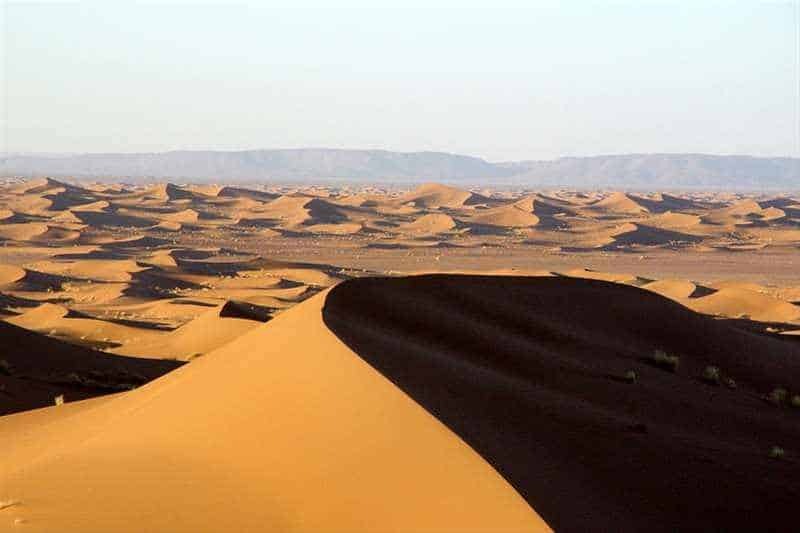 It is one of the most attractive and beautiful sites in southern Morocco and considered a national heritage. From here the road takes some 12 km away from the town and you will begin to wonder where it is headed. And then, suddenly, it descends into a hidden oasis surrounded by high mountains and nestling along a river. 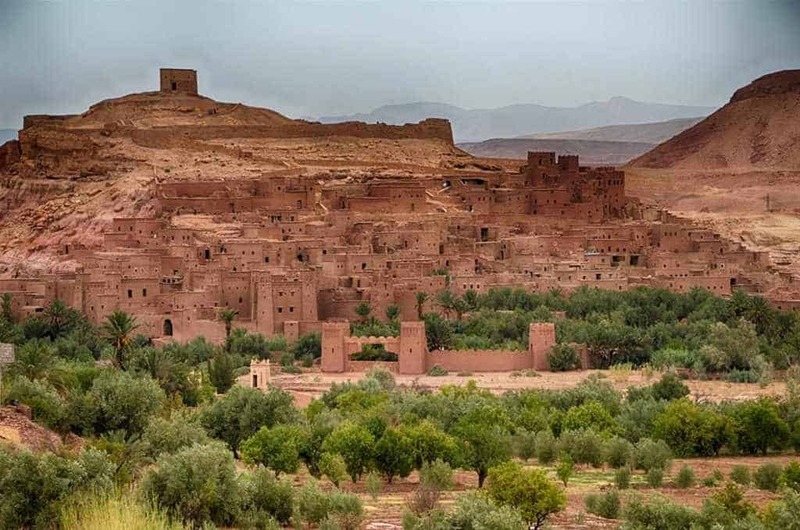 Fint Oasis is a very traditional Berber village and once served as the head of the caravan route from the Sahara. It is a secluded spot to wander round, walk along the river, watch the frogs and have a glass of tea. Later the trip takes you to the Atlas Studios, if you are interested in seeing the somewhat faded but genuine sets of some major Hollywood blockbusters such as Lawrence of Arabia (1962), Kundun (1997), Mummy (1999), Gladiator (2000), Kingdom of Heaven (2005), Hanna (2011), and Salmon Fishing in the Yemen (2011) were shot here, as was part of the TV series Game of Thrones. The road back to Marrakesh passes the Amethyst Valley, where you might like to get out of the car to look for some of the beautiful stones scattered about. From there you start climbing again slowly to reach the Tichka pass again and so Marrakesh. The price for trips includes the transport in a private air-conditioned 4×4; Toyota Prado or Mitsubishi Pajero,and fuel. Experienced English-, French-, Spanish- and Italian-speaking driver / guide, all accommodation and meals as well as the camel ride on the relevant tours. Drinks and tips are not included. These prices are liable to fluctuation according to the current exchange rate.